The Nail technician program is designed to train the student in the basic manipulative skills, safety judgments, proper work habits, manicures, pedicures, sculpting, nail art, silk and fiberglass wraps, business development, retail training, and desirable attitudes necessary to obtain licensing and for competency in job entry-level positions as Manicurist or Nail Technician or a related career field. ​We have partnered with O.P.I School program and use their preferred kits​ in our program, so our students get the best hands on experience possible with the #1 Salon Brand Worldwide. 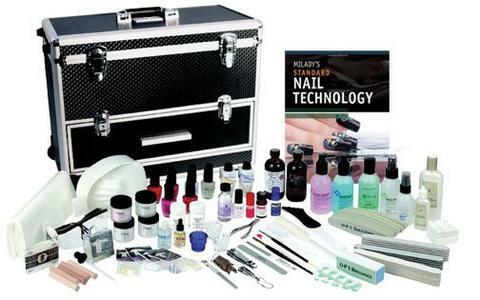 Perform basic manipulative skills in the areas of nail technology such as manicures and pedicures. 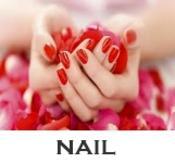 Perform the basic analytical skills to advise clients about their nail and desired look. To ensure continued career success, the graduate will continue to learn new and current information related to skills, trends, and methods for career development in Nail Technology and related fields. This program is accredited by NACCAS but it is not available for Title IV financial aid due to number of hours. Upon successful completion of the Nail Technician program, graduates are qualified to work in a variety of areas. Many Nail Technicians aim to become self-employed. Some technicians own their own salon, or rent out space in a salon. Others may choose to run a mobile business, which involves visiting customers’ homes. Thus, depending on circumstances or specific hiring practices nail technicians could work alone, or in a salon with other technicians, beauticians, hairstylists, or therapists. All programs offered by The Esthetic Institute follow similar procedures in that the same instructional methods apply and the same grading procedures are followed for each program. Those policies are stated in the school catalog and are considered to be an integral part of each of the program outlines contained in this site.All educational programs at the Esthetic Institute are taught in English.